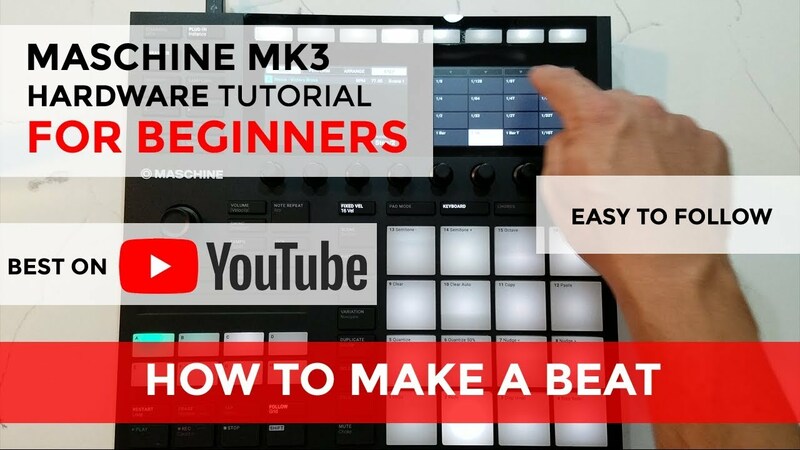 I just wanted to share with you a set of Beginner tutorials I made specifically for the Maschine Mk3 Controller. Unlike other Maschine videos online, my videos focus primarily on using the Maschine MK3 Controller, not the Maschine software. Now, if you're like me, you probably like to hit the ground running [Meaning] You just want to turn on your MK3, start the software and start banging out BEATS. My videos will help you do just that! They are FREE, very beginner friendly and super easy to follow. I tried my best to keep them short and sweet and more importantly, to the point. With that said, check them out below! Oh yeah, ~ if you found them helpful ((which I know you will)) be sure to leave a comment below the videos as well as click here to subscribe to my YouTube Channel so that you'll see the latest ones when I drop em. Just a heads up guys! *To see the events window* (The window that lets you see the bar moving ~ at 2:24 in the video) you have to hold down shift and press events. Also, when in the events window, make sure menu button 1 [events] is illuminated so the events screen stays opened! *To double the loop:* (3:26 on the video) Press "step" and then menu button 4 [Double] on top . After you've doubled it you can return to the previous windows by pressing "pad mode" then holding shift and pressing "events".